“All my life, I’ve always had a pretty nice time. We didn’t have any money or nothing, but we always managed. We never had any luxuries but we never went hungry.” Elvis Presley, 1956 when asked if he had a happy time as a kid. 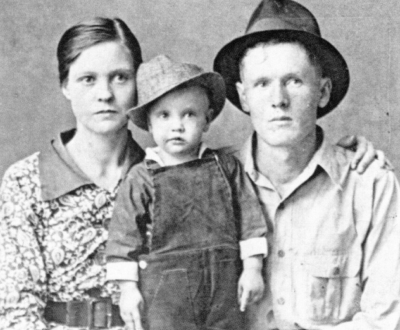 In the early morning of January 8th, 1935, Gladys Presley gave birth to a still-born son whom they had named Jessie Garon. While Vernon sent off for the local doctor, the presiding midwife determined there was another baby still to come, another boy, and his parents named him Elvis Aron(Presley later had his middle name changed to the proper biblical spelling of Aaron.) Both parents were distraught over the death of the first-born, but felt something special had occurred with the birth of Elvis. According to biographer Pat Broeske in the incredible documentary, Elvis: Return To Tupelo, “On that morning, Vernon stated when he watched the sun come up that day, he saw a blue streak in the sky. And Gladys swore she saw rings around the moon and believed something special would come of her son and told Elvis this time and again when he was a boy.” After years of reading about Elvis, his life and music, I and my good friends Shawn Poole and Dawn Leinberger, traveled to Tupelo and saw the small house from which big things one day came. 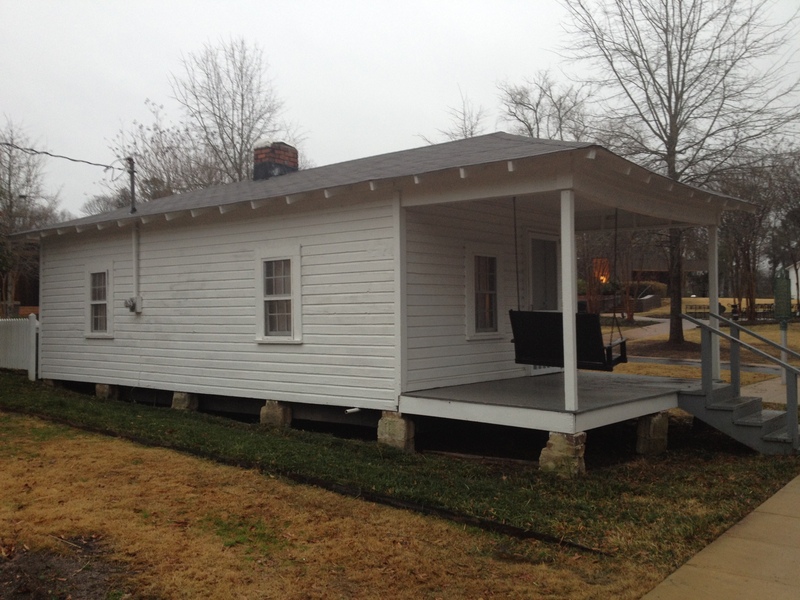 The Elvis Presley Birthplace and Museum consists of the home, the Assembly of God Church the Presleys attended at the time, the Elvis Presley Memorial Chapel, and a museum among other items. 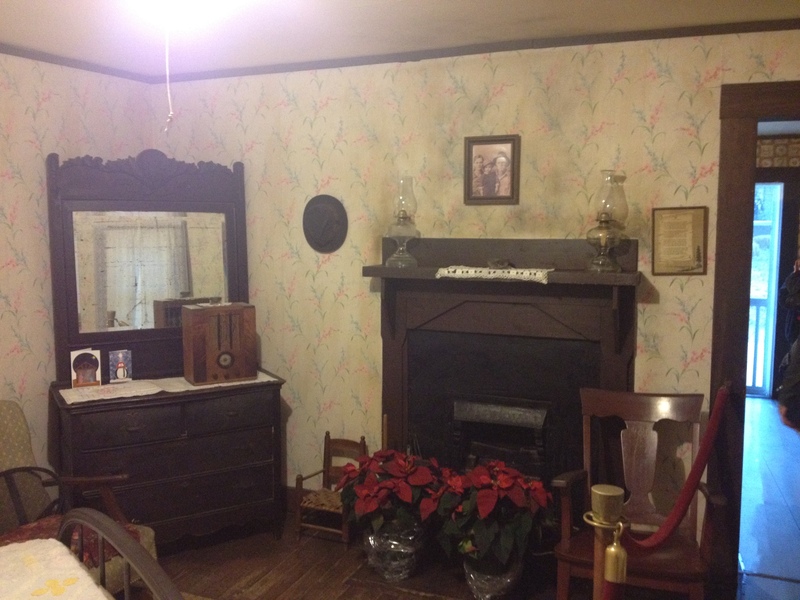 The house itself measures roughly 15 feet wide by 30 feet long, without the front porch included, and has only two rooms consisting of a bedroom/family room and a kitchen/dining room. 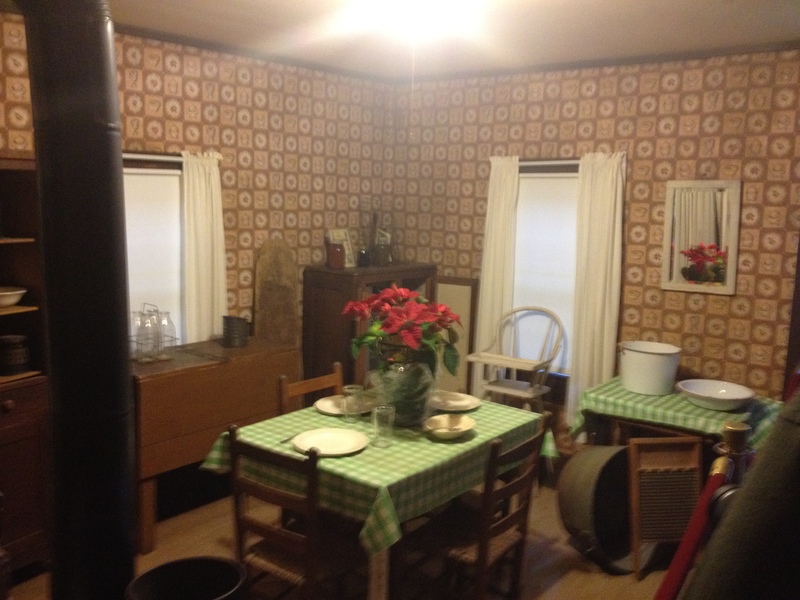 The house now rests in the same location it did in 1935, while the other surrounding houses were demolished over time. Just like many similar houses of the time, it is referred to as a shotgun shack because of the fact that the front and rear doors are directly in line with each other and with such a short distance between the two, it is said you could open the front door, shoot a shotgun through the house and out the back door before the shot spread enough to damage the insides of the home. 1938 brought heartache to the little Presley family, and according to many, caused mother and son to form an unusually tight bond that may have led to many events of the future. In that year, Vernon Presley and two friends sold a hog to Orville Beane, Vernon and Gladys’ landlord. Beane gave a check to the three men in the amount of $4 which he thought was a fair price. Feeling cheated, the three men decided to change the check to $40. Beane found out, had the men prosecuted for forgery and all were sentenced to three years of prison at the infamous Parchman state penitentiary. 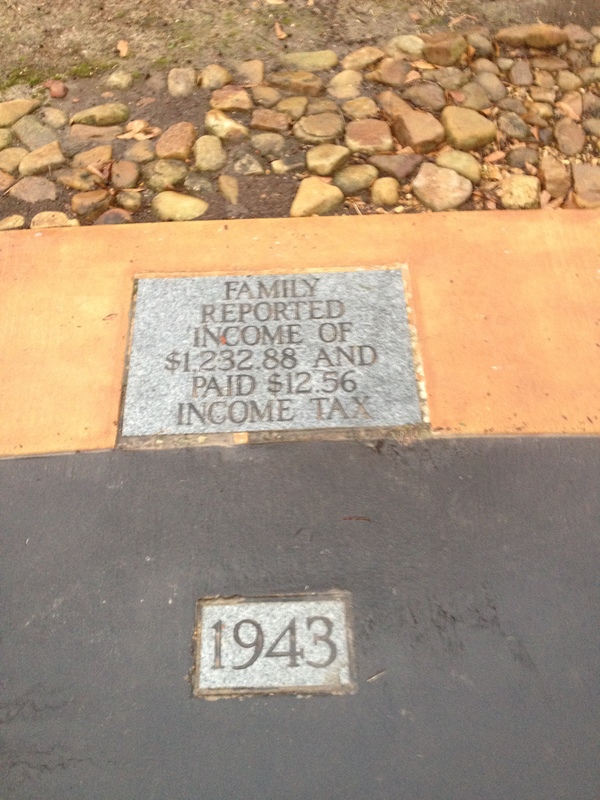 The governor of Mississippi described it at the time as a very efficient, well-run slave plantation. 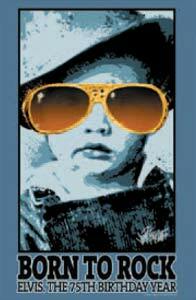 Almost every weekend, Gladys and three-year old Elvis would ride the bus for 5 hours to visit Vernon on his day off. According to their neighbors at the time, Elvis took on an almost paternalistic role and called Gladys little baby and would say, “Does my little baby need anything?”, despite the fact he himself was only three at the time. 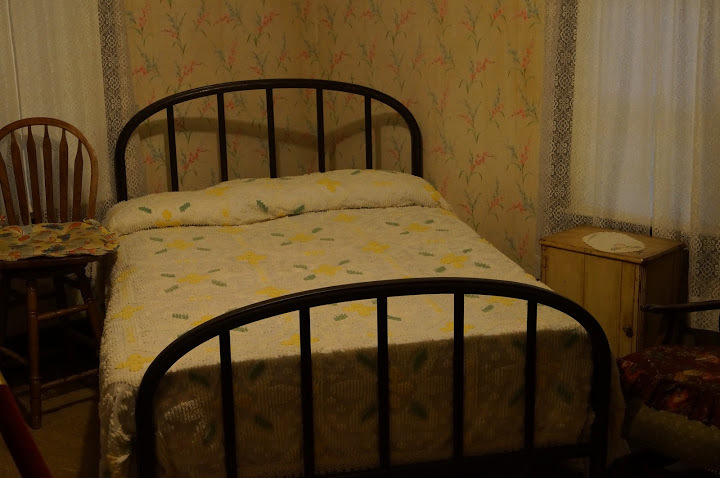 Due to Vernon’s absence, Gladys couldn’t keep up with the house payments and Orville Beane repossessed the house and their car, forcing the family to move many times during their stay in Tupelo. Gladys worked tirelessly writing petitions and obtaining signatures from neighbors and eventually the governor pardoned Vernon in early 1939. 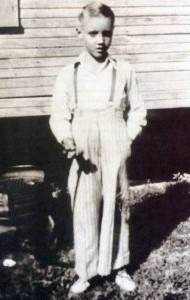 During WWII, Vernon traveled to Memphis to work in a munitions factory while Gladys and Elvis stayed behind in the Shakerag section of Tupelo, one of two historic black districts. 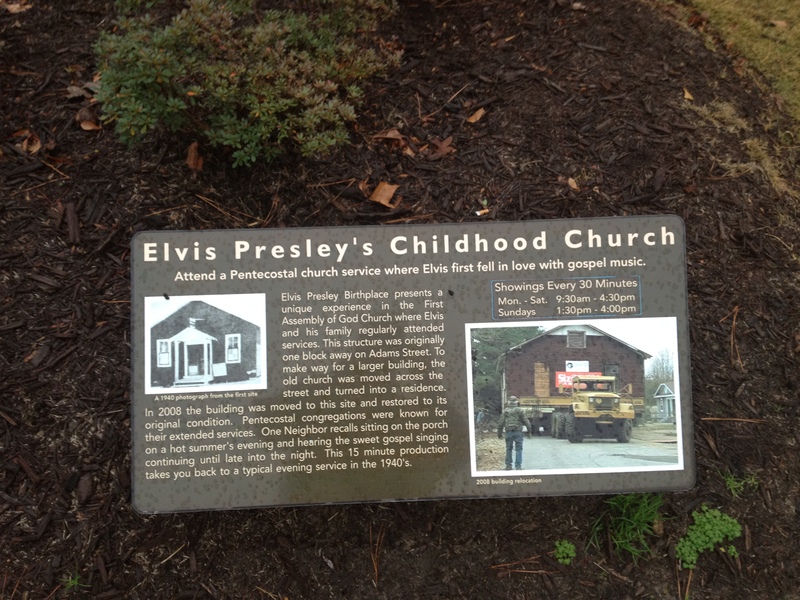 A short walk from the house, sits the first church Elvis and his family attended, the Assembly of God Church. Originally situated one block away, the building itself has been moved several times and even was converted into a two bedroom residence for a time before being moved to its current location. According to one of the guides, the family who owned it was very reluctant to lose ownership of it but eventually donated it to the site for historical purposes. 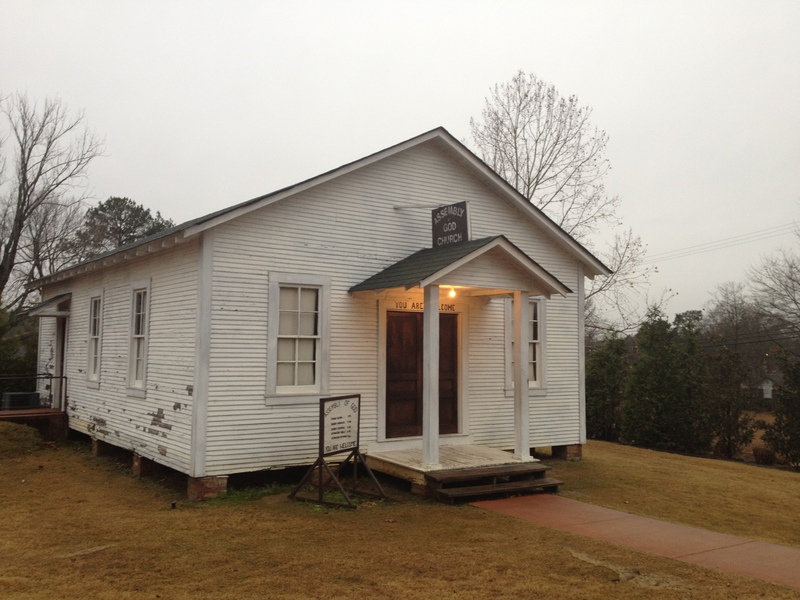 The Assembly of God Church was founded in 1914 in Hot Springs, Arkansas by white ministers in the African-American Pentecostal church. Based on the Jewish holiday of Pentecost, members and ministers believed in “Baptism in the Holy Spirit.” During services, members were often moved by ‘the spirit’ to sing, dance and sometimes talk in tongues. 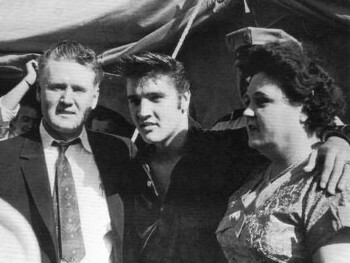 Brother Frank Smith, the minster at the time, had a guiding hand in the development of Elvis Presley’s musical career by first allowing him to sing with the choir starting at age four and then teaching him the basic guitar chords of G, C, and D as well as how to play Old Shep. 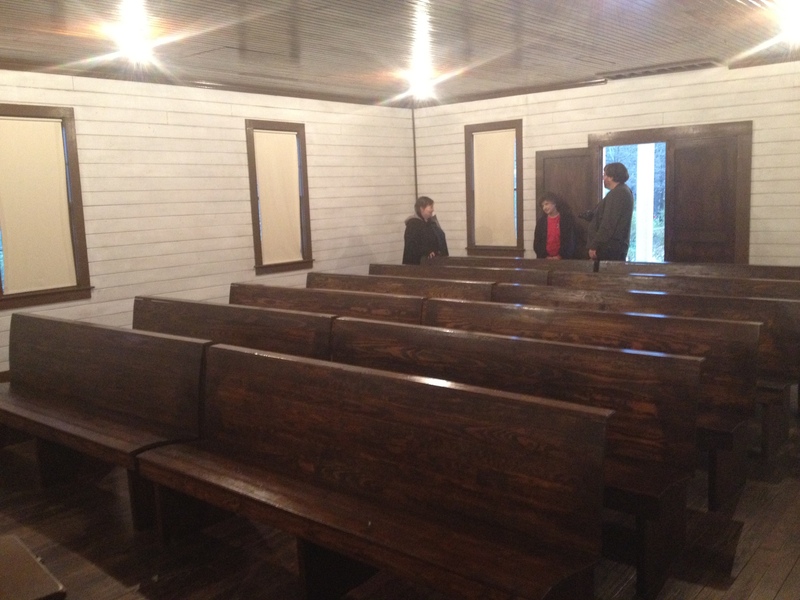 The inside is very simplistic with six rows, two pews per row. It probably sat 50-60 comfortably during services. 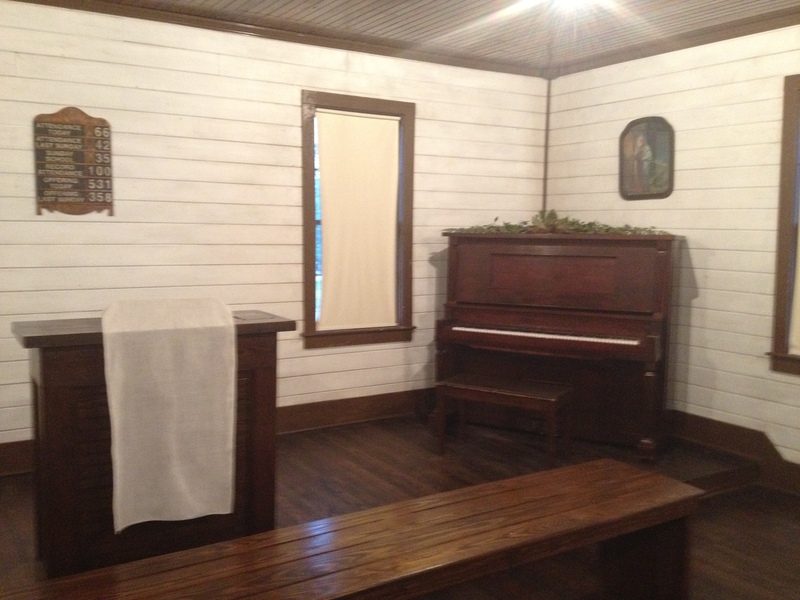 At the front is a basic altar with a bench in front for the choir to rest and a piano in the corner. 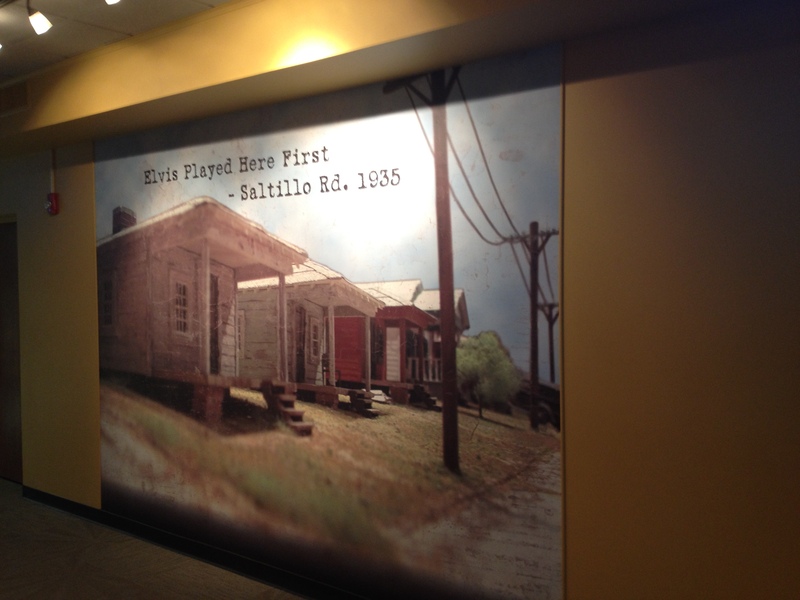 Seeing the house itself was humbling enough, but to sit in the church that the Presley family attended and in which little Elvis Presley first began to develop his musical skills was altogether a different experience that raised goosebumps on my skin due to the efforts of the museum staff. 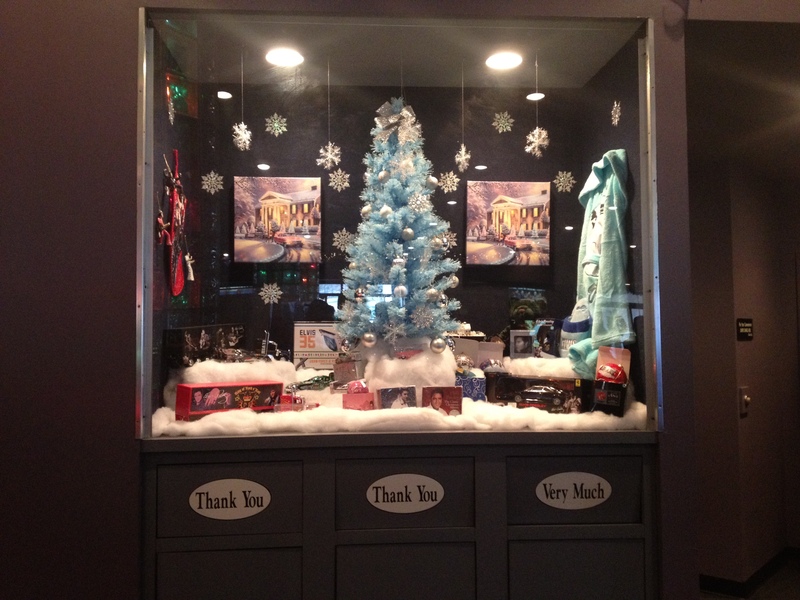 Every 30 minutes, you can view a filmed recreation of a typical 1940s era service that was in the building itself. As you sit in the pews, with a screen in front of you and screens on either side, you feel like you have been transported back in time and are sitting amongst the congregation as you watch Brother Frank Smith testify, sing and preach in front of you with members to either side. During the service, Brother Frank, played ironically enough by an actor named Memphis Jones, breaks into song several times and brings up young Elvis to sing. Having listened to Presley recordings for much of my life and having heard him sing gospel songs time after time, it was a moving, cosmic spiritual event. Like peeking through a keyhole in time, you can see young Elvis sing along on gospel songs like Just A Little Talk With Jesus, On The Jericho Road, I, John and most movingly, Down By The Riverside, songs that he would sing thousands of times over with friends, family and musicians, songs that formed the core of who he was. 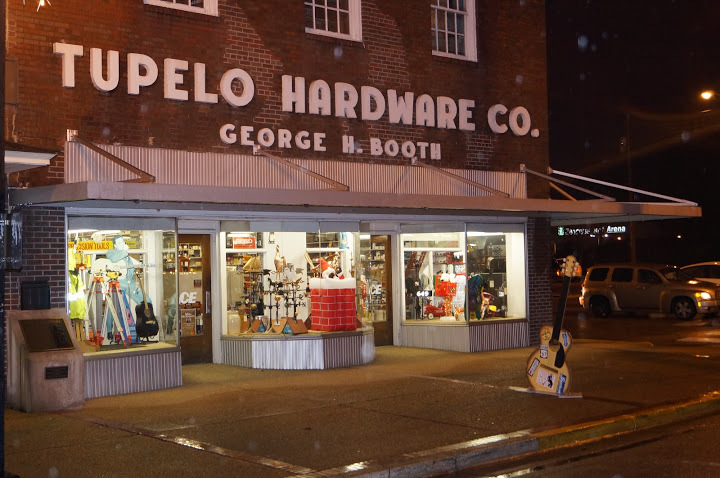 For Elvis’ 11th birthday, Elvis and Gladys went to the Tupelo Hardware Co to buy a birthday present using money he had earned running errands for his family and neighbors. Being a young, country boy, Elvis had his heart set on a rifle. 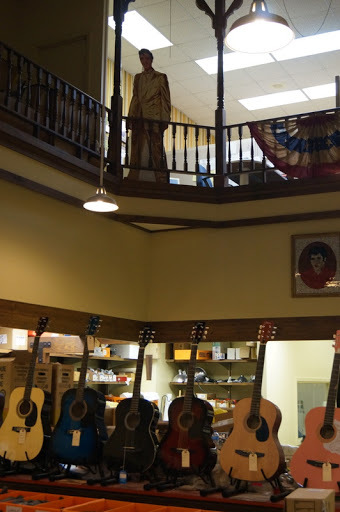 According to store employee and Presley raconteur Howard Hite, young Elvis and his mom walked through the front door of the store, strode by the rack of bikes and walked up to the display case with his eye on the rifles on the wall. According to Hite, the salesman that day, Mr. Forrest Bobo, let Elvis hold a rifle for a few minutes, but Gladys wanted Elvis to try something else and said no which caused the young boy to begin crying and carrying on. Bobo then handed Elvis a guitar, $7.75 plus tax, and said, “Why don’t you try this Elvis?” Elvis then played the guitar for a few minutes and Gladys said, “Elvis if you want the guitar, I’ll pay for the difference.” And Elvis responded, “Ok. 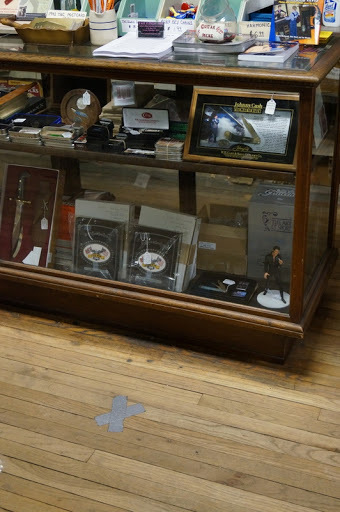 Ok mama, I’ll get the guitar.” Hite jokingly said he wished Elvis had said, “That’s All Right Mama, I’ll get the guitar.” So in that single moment of time, Elvis and his family’s fate changed with a birthday wish, and an x on the floor marks the spot. That moment was eerily echoed many years later in Freehold, New Jersey, when Presley acolyte Bruce Springsteen asked his mother for an electric guitar for Christmas. The Springsteen family often times was in financial straits, but Adele Springsteen saw the hope and desire in her young son’s eyes and bought a simple electric Kent for young Bruce who took that guitar and ‘learned how to make her talk.’ Gladys Presley’s decision that day speaks power to the love between a mother and her son. And that decision by a financially strapped young mother, made in a small storefront in a small southern town revolutionized the world. Edison Pena, Chilean miner – One of the miners who was trapped below ground for months in 2010. Pena came to the United States to run in the New York City Marathon. Afterwards, he was asked by his guides if there was anywhere in America he wanted to go, and Pena, being a huge Presley fan, immediately said Graceland. He was shown all the sites on the Presley tour and upon coming into the hardware store said, “I want to live here, this feels like home.” You can see some of Edison’s appearance on The Late Show with David Letterman in a link below including a totally improvised performance of Suspicious Minds, with music supplied by Paul Schaffer and the Most Dangerous Band in Television, with an astounded Letterman looking on. – Joe Perry- Aerosmith played a concert in Tupelo, and on the way out of town, lead guitarist Perry spied the store and demanded the bus driver pull over so he could come into the store. 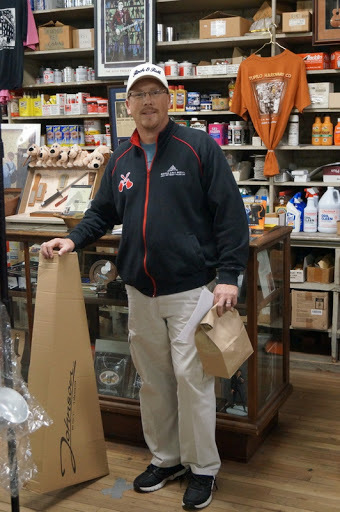 The driver asked what the big deal was and Perry responded, “Hey man, this is where Big E bought his first guitar.” Perry bought a sunburst acoustic guitar from the store’s selection and a dozen tee shirts. Below is Howard Hite recalling much of the above in more detail and in his very colorful delivery. 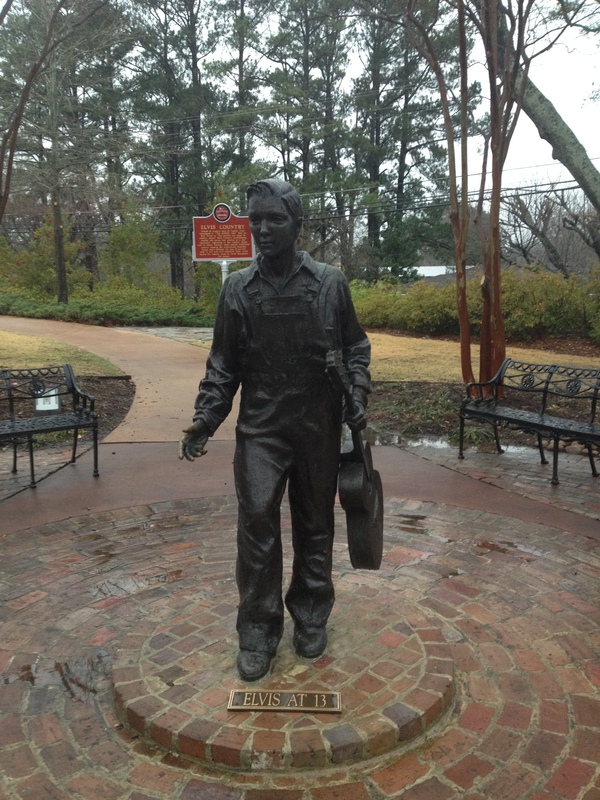 In 1948, Vernon decided it was time to give up on Tupelo and left once more in search of a better life in Memphis, Tennessee. 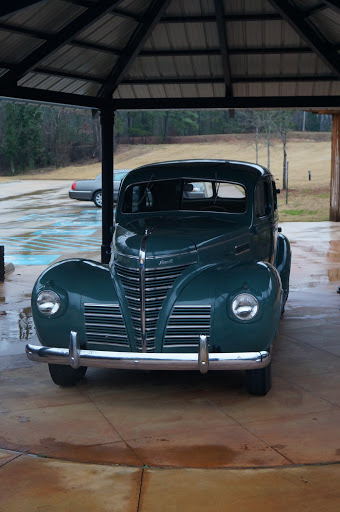 The family packed what belongings they could into a borrowed 1939 Plymouth and headed north. Elvis attended and graduated from Humes High School and while driving a truck for Crown Electric, decided to stop into the Memphis recording Service, located at 706 Union Avenue to record a demo for $4 dollars. While Elvis presented himself to Marion Keisker, Sam Phillip’s secretary, as recording a birthday present for his mother, he most certainly knew that Phillips, as head of Sun Studios, was recording some of the finest music of the time including BB King, Jackie Breston’s Rocket 88(many claim this as being the first rock and roll song), Howlin Wolf, Rufus Thomas, and many more. On that day in 1953, Keisker asked Presley who he sounded like and Presley responded, “I don’t sound like nobody.” Which was only partially true, for he sounded like an incredible, electric, door busting amalgamation of a lot of people he had heard sing over his lifetime, going all the way back to Tupelo, Mississippi. He gave the music all he had because all he had was the music. As Jimmy Lafave sings in his great song Elvis Loved His Mama, Elvis ‘left the streets of Tupelo for Memphis and made that yellow Sun glow.’ And he rose to incredible heights of fame and fortune, and all the rewards and dangers that came with it. He earned critical and financial acclaim, but, always going back to his roots, he gave it all away to friends, family, charities, and strangers. For a man who dreamed of a ‘better land where all my brothers walk hand in hand’, what else could a poor country boy from Tupelo do? –Elvis: Return to Tupelo, documentary. Written and produced by Michael Rose, narrated by Kris Kristofferson. A great film for any music fan and especially for any serious Elvis fan. Below is a link to their website. Below you can hear Jimmy Lafave sing Elvis Loved His Mama and see some great pictures. Edison Pena, Chilean Miner on Late Night with Letterman. Below is a clip of the interview Pena did with Letterman, and if you wait until the end, you’ll hear and see a little Suspicious Minds. 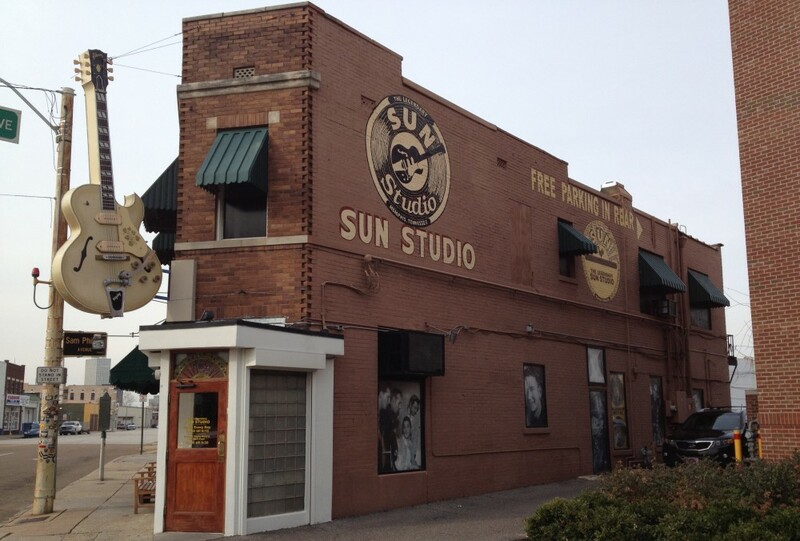 In 1969, Elvis recorded several songs at the American Studios in Memphis with the help of producer Chips Moman. One of the songs recorded was In The Ghetto, which Elvis could empathize with much of the meaning of the song personally due to his own background. It became one of his first Top Ten hits in years. Years later, the song was used as the basis for the Memphis hip-hop group Three Six Mafia’s cover version of In The Ghetto with some new lyrics. 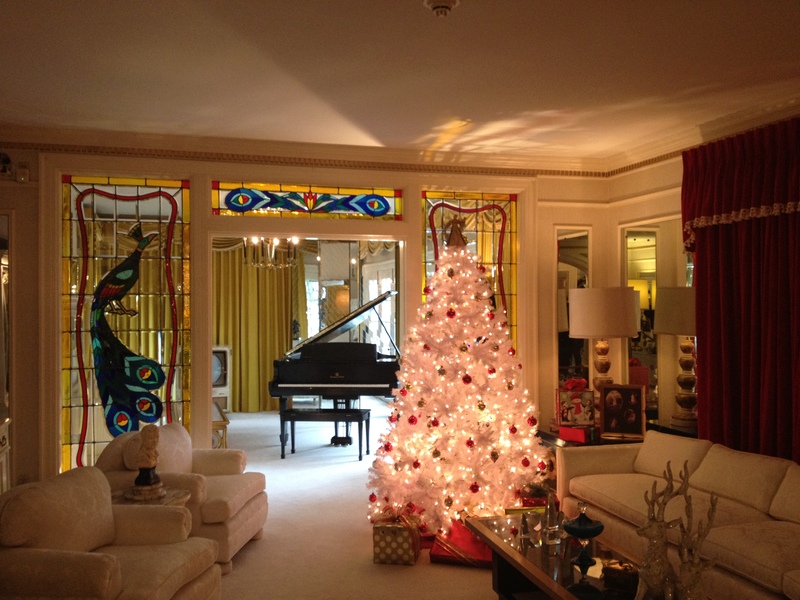 Two members of the group have stated that they grew up in houses within a few miles of Graceland and their mothers used to listen to Elvis records when they were kids. Check it out for yourself below. 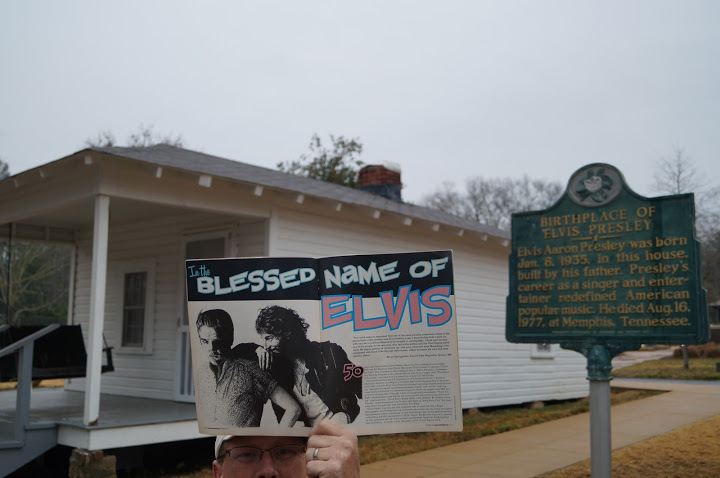 This entry was posted in Bruce Springsteen, Elvis Presley, Rock and roll and tagged Elvis, Elvis Presley, Grand Ole Opry, Oscar Wilde, Tupelo, Tupelo Mississippi, Vernon, Walk of Life by rhilligoss. Bookmark the permalink. 1. Do I win a prize for identifing the 1939 Plymouth? 2. 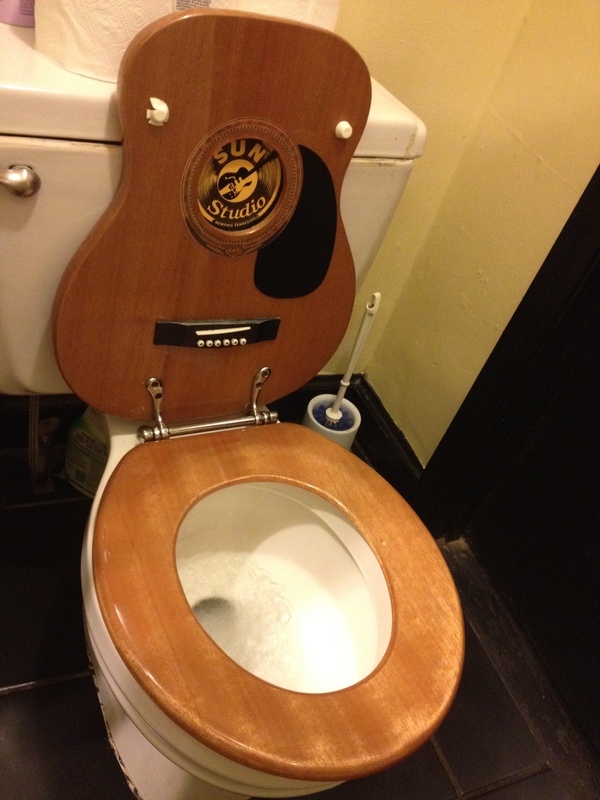 You have one leg up on Mike Murphy, Charlie Parker’s Diner, with your shot of the King’s Throne! Elvis is the best. 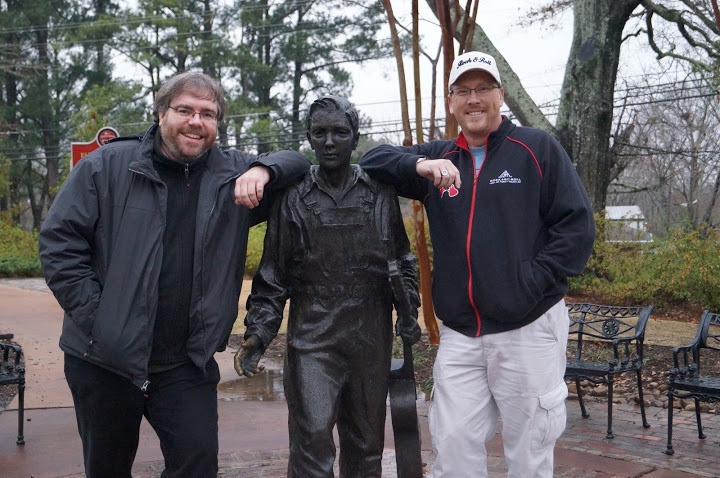 Thanks for the nice comments about my film, “Elvis: Return to Tupelo.” Much appreciated. Glad you enjoyed it. You may also like the follow up book I wrote about four days in ’56 using photos I discovered much too late to put in the film. The book’s called, “Elvis Presley: A Moment in Time,” and is being distributed by the Elvis label FTD through the Elvis website. We also have many of the photos that appear in the book available through our archives site. Forgot to include a link to the archive site where we have loads of mostly, never before seen, Elvis images from 1956. Also, note that if you want to choose colours that aren’t in the palette, you can even edit the colour hex code.